Stripes and more stripes! The street style of fashion weeks became a parade of lines. And your dog can also walk through the streets of the city with this print, in the pantone color of this 2018 that is in all the garments, lavender! Moles never said goodbye! The print of more than three centuries of life returns to invade our clothes and your dog's closet, as it is proclaimed trend for this season. There are many types of moles, we bring them to you in the most classic and Mediterranean way to remember the sea. Unstoppable trends like flowers! Roses, gardenias, carnations, tulips and more, combine with other figures of plant inspiration. 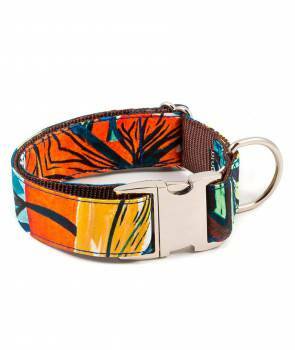 And Textura Ebre has it all so that your dog can wear flowers and more flowers around the city! The boho style, a trend that has always been alive. This time, reinvented with orange, pink and blue tones. This Textura vibrates freedom and joy on its own. It does not need much for your dog to look so attractive! One of the winter trends renews its reign with metallic fabrics. We chose the golden one for its vitality and freshness. 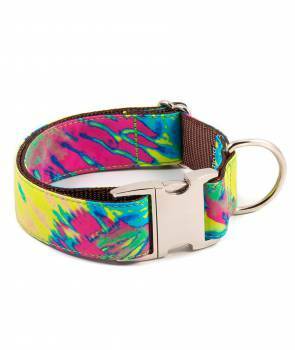 Your dog will shine with the Textura Mallorca, and everyone will look back! The stripes have got bored in the office and the street style takes her out for a walk! With a more relaxed style, with a bright and golden touch, so that, your dog will wear it elegantly and everyone will turn when passing by his side. Pure french flavor for your doggy! The sea breeze from the french coast mixes with rays of sun to escape from the city. There are no rules if we talk about stripes, so keep calm and relax. The great bet for Textura Beleser, is for its tones and french style, as it is on the crest of the wave! Bohemian and modernist style at the same time! Infinite geometries and vibrant colors that make it unique. As it is Barcelona, changing, cosmopolitan and multi-cultural! If you are more of abstract prints with geometric touches Textura Estartit is made for you. The shades of red and blue are present in this model. A perfect combination to stand out on the street without hesitation. This multicolored mix is unique and will delight the most daring! Do you like the nature? This model is for you. Texture Juia is full of tropical flowers combined with pink. It represents the transition from winter to summer! Is anyone in the mood for sea? There's no better way to represent it on Sailor Stripes. The Textura Calafell is a clear musthave of this season. A classic of fashion that can not be missing in your closet or your friend's four legs. Is anyone in the mood for sea? There's no better way to represent it on Sailor Stripes. The Textura Amposta is a clear musthave of this season. A classic of fashion that can not be missing in your closet or your friend's four legs. The vichi print, the classic of the classics. 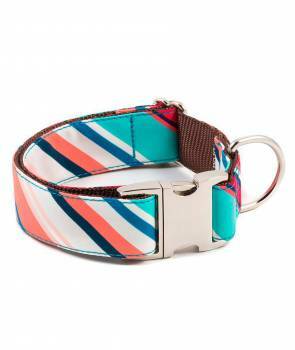 Always present in our clothes, and now you can dress your dog to be fashionable with you! Geometry in fashion is like architecture in construction. Do you know that red is a must have for your dog this season? Do not think about it anymore and wear it! 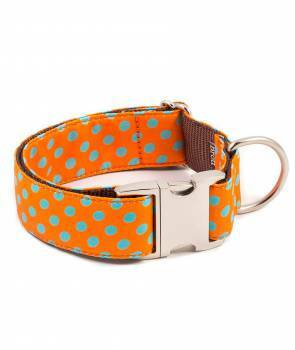 The classic print for excellence reinvents itself once again to be included in your dog's wardrobe. A modern and carefree touch that will attract all eyes! The oldest prints can be reinvented together and give a set of shapes that will not leave anyone unnoticed. Moles and stripes is the perfect combination for a classic but modern look. We get lost among labyrinths of geometric shapes, patterns and motif mosaics. This season leads us to destinations with unique tiles, mosaics on the walls and grounds in fabrics. 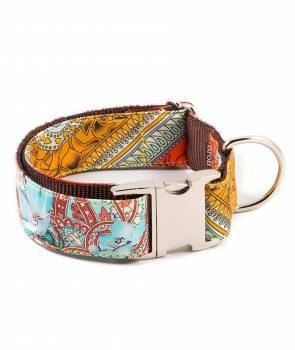 Prince of Gales print will be a #musthave this season and you will rock it with your dog at the street! Elegance will be your adjective when everybody look at you! Hooray for the 70's and millennial pink! The color of this season will be present too on the coldest winter days, accompanied by the most delicate bright tones. The most important fashion companies have made it possible: now the styles in which dark blue and black are combined are the most popular. This print is the clear example that elegance and simplicity are hand in hand.